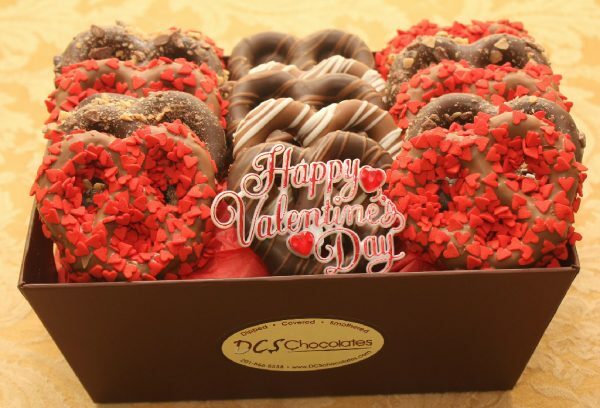 This Valentine Pretzel Market Tray includes 15 chocolate dipped pretzels. A perfect gift for someone you truly love. Each market tray will include items hand DIPPED and COVERED in milk, dark, and white chocolate & of course SMOTHERED with various toppings!